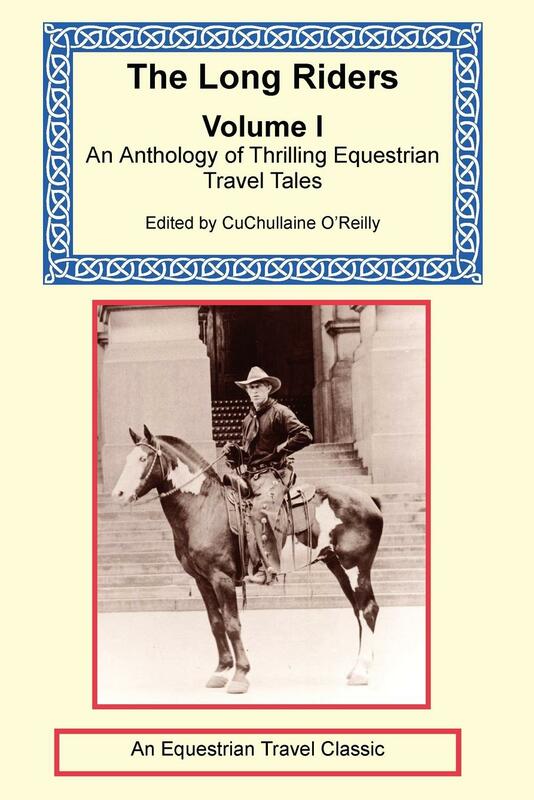 Horse Travel Books is part of the Long Riders' Guild Literary Project, which is dedicated to keeping alive the most important equestrian travel books of all time. The collection includes stories of mounted excitement from the frozen wastes of Antarctica to the steamy jungles of South America, from the steppes of Central Asia to the deserts of Africa, from the great cities of Europe to the wilds of the American Old West. A Lady's Life in the Rocky Mountains – English Long Rider Isabella Bird was the most renowned female equestrian traveller in the 19th century. Described by The Times of London as “the boldest of travellers,” she was the first woman to be made a Fellow of the Royal Geographical Society. Bird rode in Persia, Tibet, Korea, Japan and Hawaii. During the winter of 1873 she explored the magnificent unspoiled wilderness of Colorado and ascended the highest mountains. For more information about this book, please contact the Long Riders Guild. 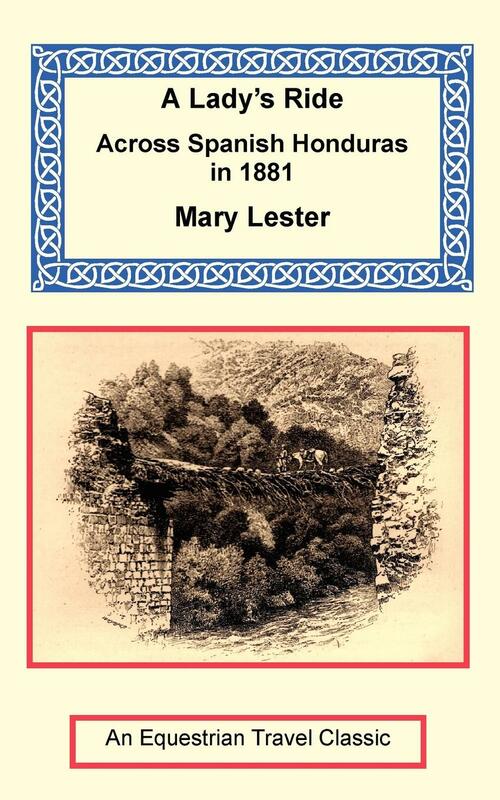 A Lady's Ride Across Spanish Honduras in 1881 - This is a gem of a book, with its entertaining account of Mary Lester’s vivid, day to day life in the saddle. The hardy amateur author was a keen observer who noted the exotic animal life, social customs, and political conditions of a jungle-trail-world that belonged to that simpler age. 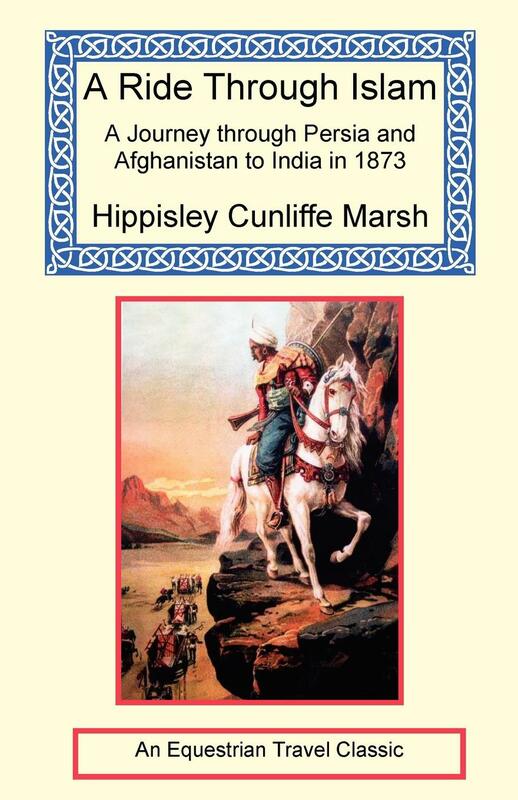 A Ride Through Islam - Hippisley Cunliffe Marsh, evaded plenty of danger in the way of Turkoman slave traders and other villains as he made his wary way from Turkey to India in 1873. Moreover, being a keen horseman, the Bengal Lancer made sure to note the equestrian practices of the countries he rode through. 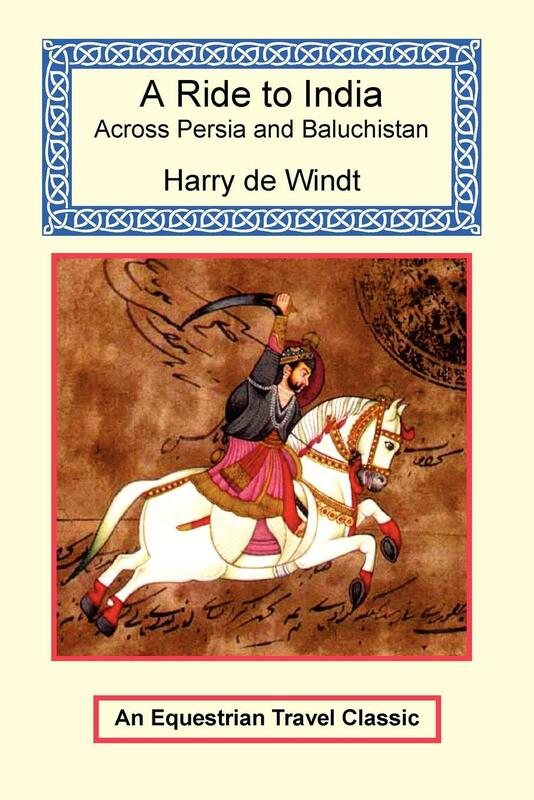 A Ride to India Across Persia and Baluchistan – If Harry de Windt, that dashing 19th century Long Rider, had been allowed to follow his original plan, he would have galloped to India via the Central Asian satraps of His Imperial Russian Highness. When suspicious St. Petersburg put a halt to Harry’s Russian route, the intrepid equestrian explorer determined to reach his goal via the Shah’s empire instead. A Ride to Khiva – Colonel Frederick Burnaby made two of the most celebrated equestrian journeys in the late 19th century. 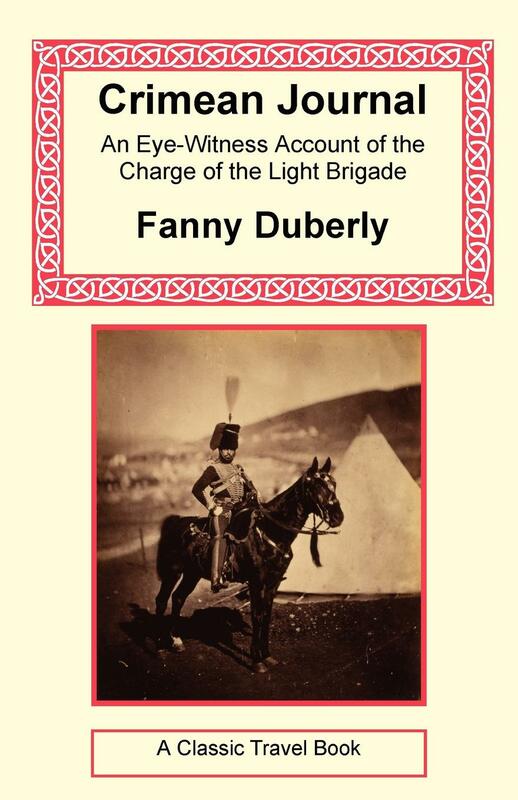 A towering officer in Queen Victoria’s Royal Horse Guards, Burnaby’s decision to ride across Central Asia had been influenced by the previous ride of Catherine de Bourboulon. The result was an extraordinary book wherein Burnaby fills every page with a memorable cast of characters, including hard-riding Cossacks, nomadic Tartars, vodka-guzzling sleigh-drivers and a legion of peasant ruffians. A Traveller on Horseback in Eastern Turkey and Iran - The Sunday Telegraph has described English Long Rider Christina Dodwell as “a natural nomad” and wrote of “her courage and insatiable wanderlust.” She has ridden on various continents including Africa, Asia and Europe. 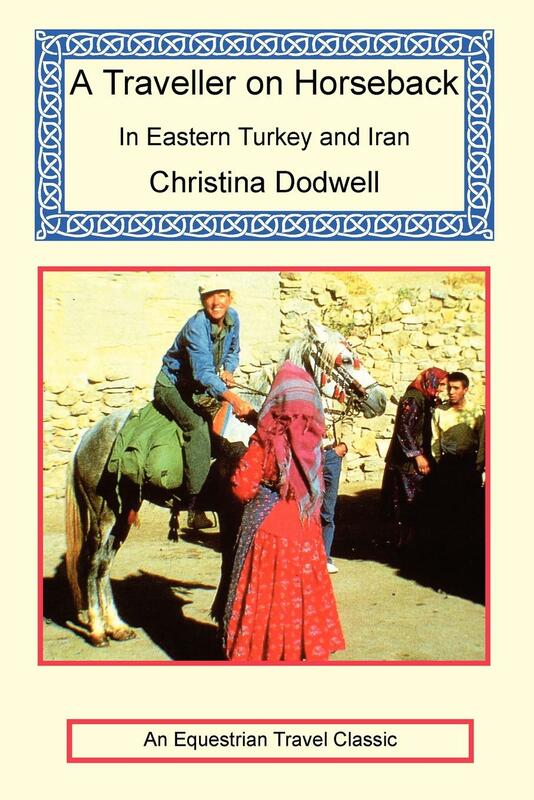 This book reveals Christina’s zest for adventure as she rides through Turkey in search of remote and challenging places. The Abode of Snow - In 1873 Andrew Wilson travelled through one of the most inhospitable but beautiful mountain ranges in the world, the mighty Himalayas. For six months Wilson made his way through these unforgiving mountains, struggling against the elements, desperate to buy provisions from a suspicious native populace, and always trying to fight off the unrelenting cold. During portions of this epic journey Wilson rode a native Spiti pony. His descriptions of how this trusty mare saved her rider’s life by clambering over boulders and threading her way along sheer cliffs makes for thrilling reading. 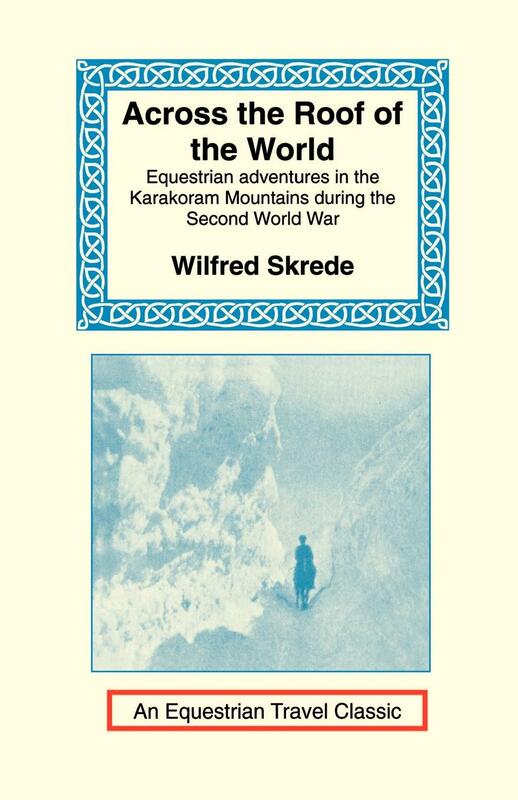 Across the Roof of the World - Wilfred Skrede was nineteen in 1941 when the Nazis occupied his homeland of Norway. Determined to reach a training camp of the free Norwegian Air Force located in Toronto, Canada. His most perilous challenge came when he was forced to ride horseback over the infamous 16,000 foot high Mintaka Pass, a hideous bit of trail known for killing horses and riders alike. 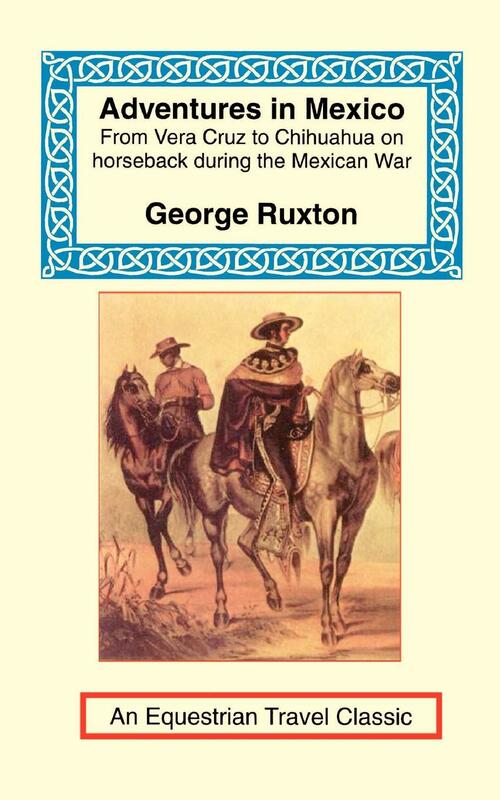 Adventures in Mexico – Considered one of the finest travel accounts of its era, this book describes the equestrian exploits of English Long Rider George Ruxton, who rode from the port of Vera Cruz to the fabled walls of Santa Fe, Mexico in 1847. It is a true tale of rough adventure filled with detailed descriptions of Apaches, Mexicans and Americans. Among the Tibetans – Isabella Bird had ridden throughout the Hawaiian paradise. She had crossed the mighty Rocky Mountains on horseback. But of all her equestrian adventures, her ride through Tibet takes precedence. For it was here, in this vast, windswept, frozen northland that the intrepid English woman nearly met her match! She and her little horse, “Gyalo”, were dashed into icy rivers. They crossed passes so high that the porters begged for mercy. The Art of Travel - Originally published in 1855, this book was written after Francis Galton returned from a journey into the African interior where he suffered much hardship and danger. After his return to England this book became an instant classic and was used by a host of now-famous explorers, including Sir Richard Francis Burton. The volume covers a diverse variety of subjects such as how to ride horses, handle elephants, and avoid cobras. Also included are sections on how to pull teeth, find water in a desert, and construct a sleeping bag out of fur. 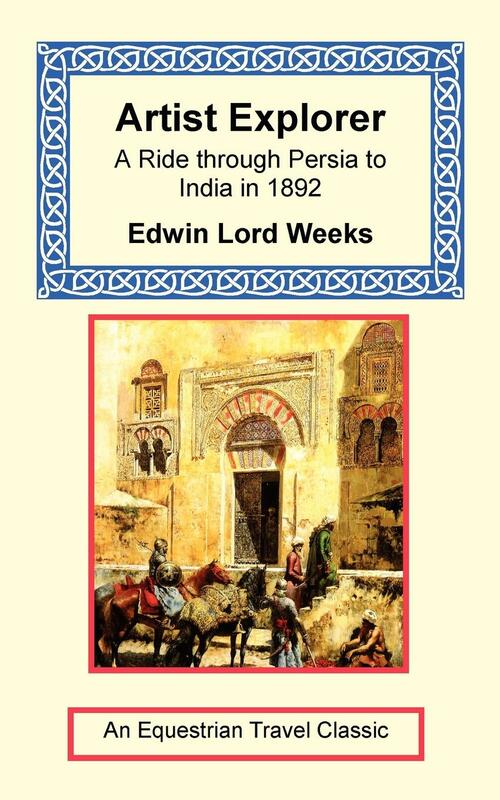 Artist Explorer - Accompanied by the noted travel writer, Theodore Child, famous artist Edwin Lord Weeks set off in 1892 to ride more than a thousand miles from Trebizond to Bushire. During the course of their journey the two friends encountered a bevy of bad lodgings, bandits, and even death. During the course of their journey the two friends encountered a bevy of bad lodgings, bandits, and even death. For ultimately only Weeks managed to ride into India, after having lost his companion to the terrors of the trail. At Freedom's Door - A Ride across India on the eve of Partition. 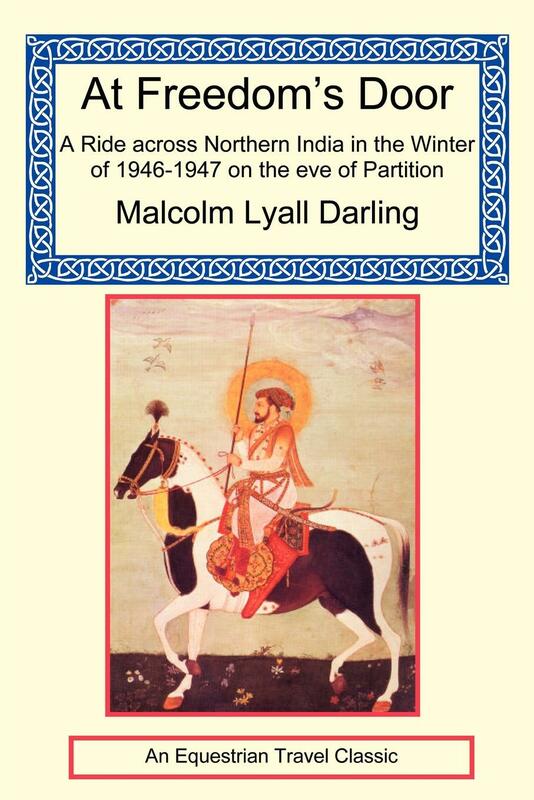 In 1947, with the British set to partition the subcontinent into the separate nations of India and Pakistan, English Long Rider Malcolm Darling set off on a dramatic 1,400 mile ride to interview the people about to undergo this traumatic political upheaval. His journey took him from Peshawar, more than a thousand miles across India, to Jubbulpore. A fluent speaker of many native languages, Darling ended this journey with a visit to his friend, Mahatma Gandhi. Bandits and Bureaucrats - It seemed like a perfectly natural thing to do. Go to Russia, befriend the Cossacks, buy a stallion and then trot him more than 2,500 miles back to England. Of course the Soviet Union had just collapsed and no one had ever been allowed to ride out of that communist empire. 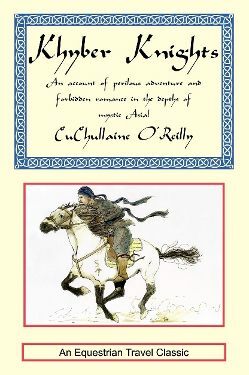 But such minor obstacles didn’t deter the author of this remarkable book, Basha O'Reilly, and what might have been a simple travel tale becomes the remarkable story of a woman’s transformation and the magnificent Cossack stallion that went on to become the symbol of the international Long Riders' Guild. 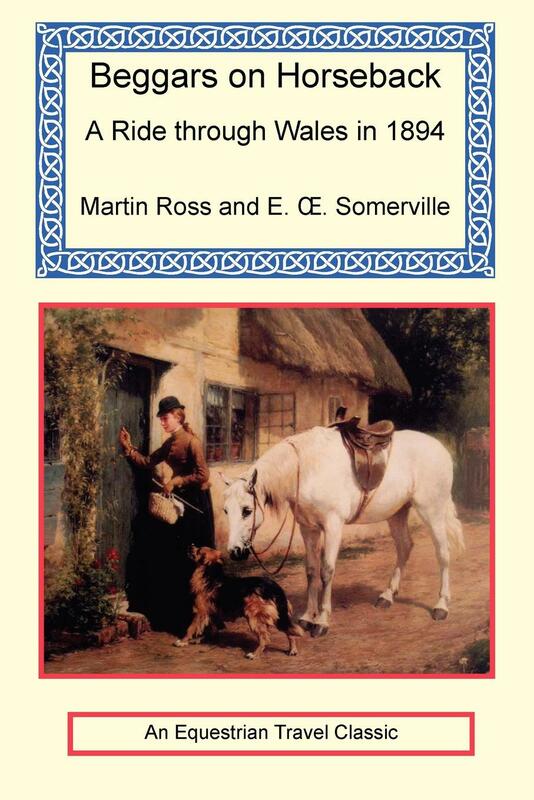 Beggars on Horseback – The hilarious adventures of Violet Martin and Edith Somerville, two fun-loving, co-writing female Irish cousins who rode through Wales in 1894. 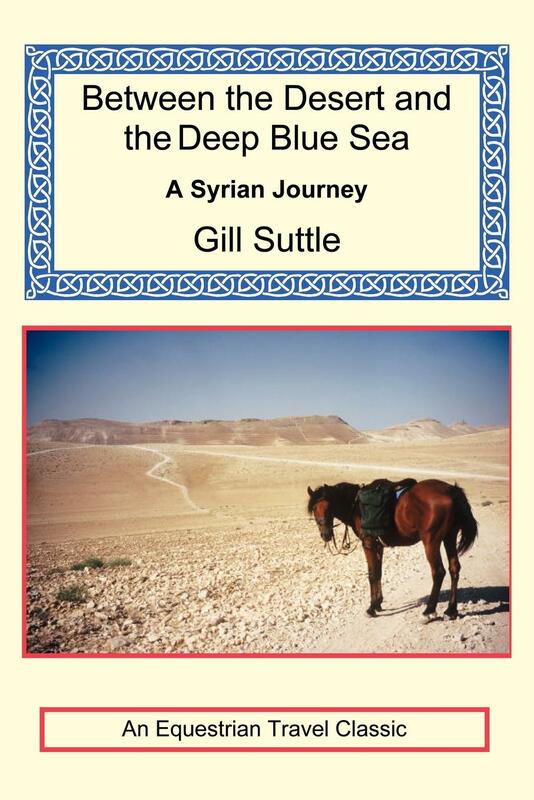 Between the Devil and the Deep Blue Sea - a Syrian journey. A passion for Arab horses and a long acquaintance with Syria inspired Gill Suttle to travel on horseback into the backwoods of this fascinating land in 1998. Together horse and rider trod where an Egyptian Pharaoh gave battle, supped with descendants of Biblical Assyrians and mediaeval Assassins, and visited the Jebel-ad-Din, or Mountain of Faith, where villagers still speak Aramaic, the language of Christ. The Bible in Spain - Despite its outmoded title, The Bible in Spain is not a religious book but a tale of pure adventure. 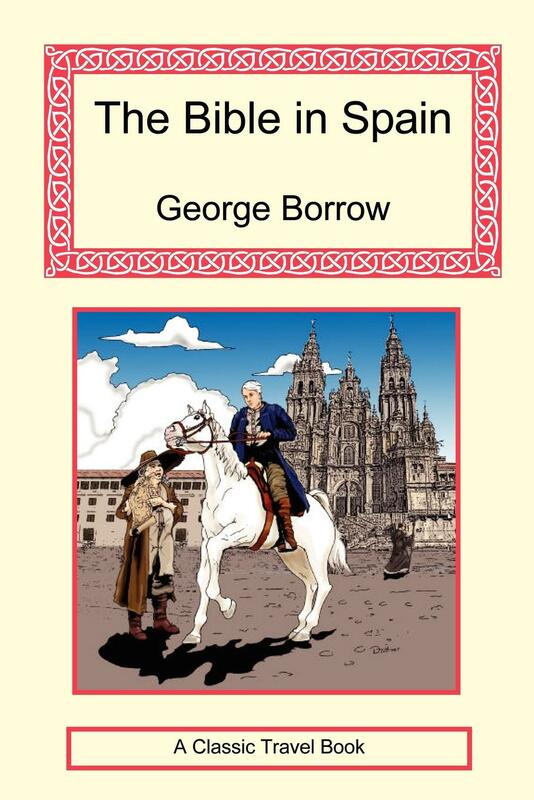 It tells the exploits of the brilliant linguist George Borrow, who was sent to Madrid in 1835 to sell Spanish language Bibles. The country was at civil war; the Church objected strongly to translated scripture; the roads were infested by bandits, beggars and outcasts. Yet Borrow would not be stopped by any of it. He was nearly killed, by accident, assault or execution, as he rode on horseback all over the Peninsula to peddle his forbidden books. Boots and Saddles in Africa – One of the geographic legends of the early twentieth century was the Abyssinian kingdom of Emperor Haile Selassie. Existing in self-imposed isolation, this medieval world was an adventurer’s paradise when Thomas Lambie arrived in 1919. A missionary and physician, Lambie was in addition a first class horseman with a hunger for excitement. Thus began one of the strangest friendships in Ethiopian history, the hard riding doctor and the mysterious ruler of a kingdom dating back 2,000 years. Bridle Paths – What does Aimé Tschiffely , the world’s most famous equestrian explorer, do when he comes home to England after making a 10,000 mile ride from Argentina to Washington, DC? 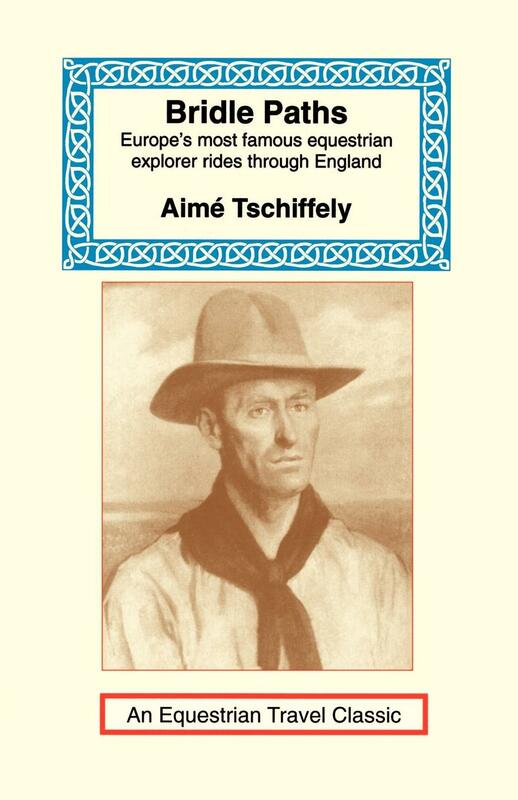 He writes a best-selling book about his adventures, Tschiffely’s Ride and then sets off on a new horse to explore rural 1930s Britain. Bridle Roads of Spain: A Journey from Gibraltar to the Pyrenees in 1852 – Oh, to be twenty-five, young and in love. 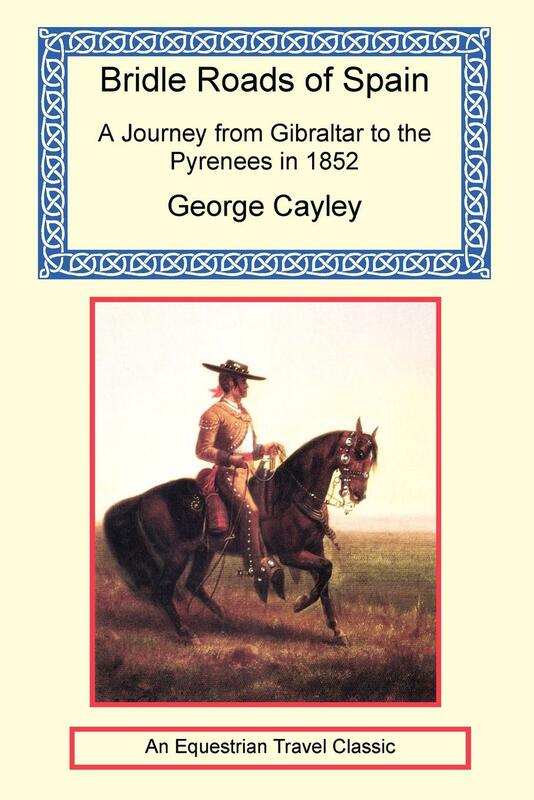 For that was what George Cayley was, when he set out in 1852 to ride across one of the most romantic countries in the world. Accompanied by a fellow wandering spirit, the young Englishmen donned the dashing clothes of caballeros, bought two fiery steeds called the Moor and the Cid, then never looked back. 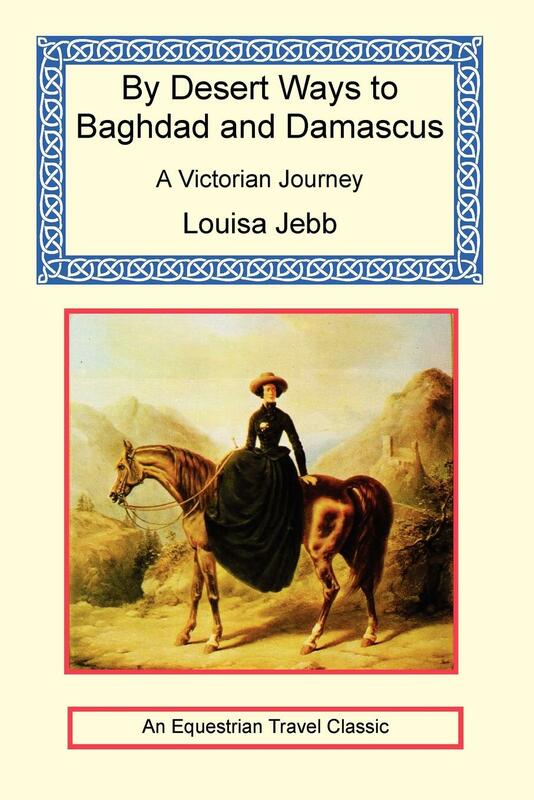 By Desert Ways to Baghdad and Damascus: A Victorian Journey – In the early years of the 20th century Louisa Jebb set out with a female companion to cross the Turkish Empire on horseback. If Jebb rode into Turkey expecting to find adventure, she found it. Yet she discovered something else – nomadic freedom. 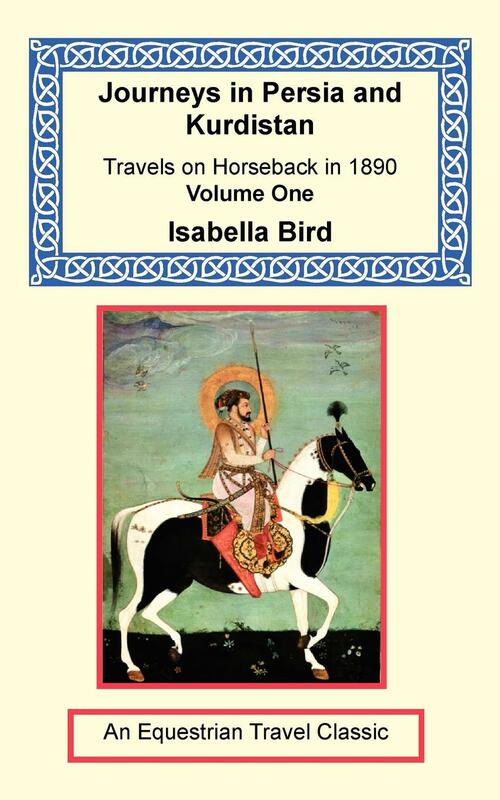 It is her personal observations about this subject that set By Desert Ways to Baghdad and Damascus apart from other equestrian travel books. “In the untravelled parts of the East you reign supreme, there is no need to go about securely chained to a gold watch. Ignore Time, and he is your servant,” she observed wisely. 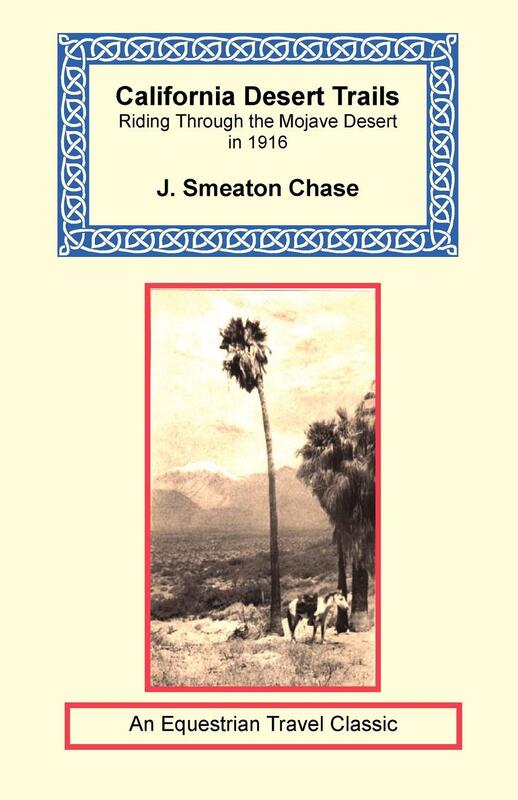 California Coast Trails – An English immigrant, J. Smeaton Chase came to California in 1890 where he pursued a career as one of the state’s earliest social workers. Yet he never allowed his career to interfere with the life-long pursuit of his twin passions, equestrian travel and botany. 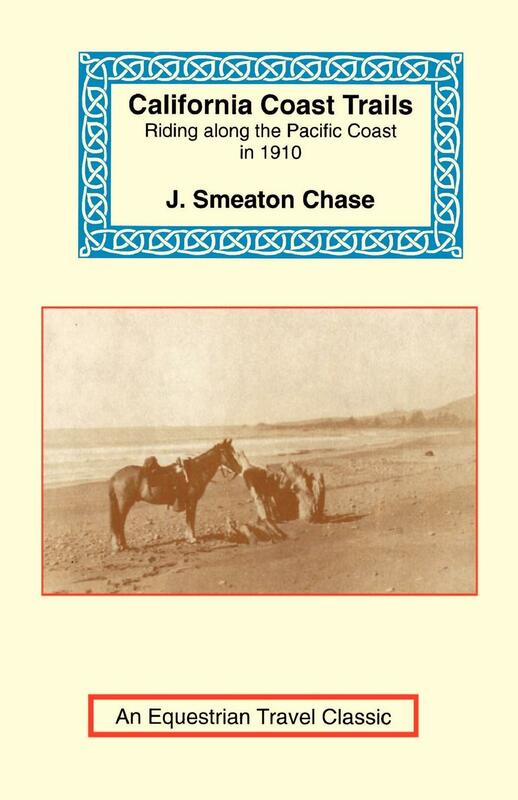 Though Chase made many various horse trips throughout the American West, his book California Coast Trails describes his most famous journey, from Mexico to Oregon along the coast of California in 1910. California Desert Trails - Imagine all the soft places of the world, the green valleys, the soft beaches, the tranquil islands, the cool mountains. Now imagine you are on horseback in one of the harshest deserts in the world – riding alone for two years! That is what famed British naturalist J. Smeaton Chase did. In 1916 he mounted up and rode into the Mojave Desert to undertake the longest equestrian study of its kind in modern history. 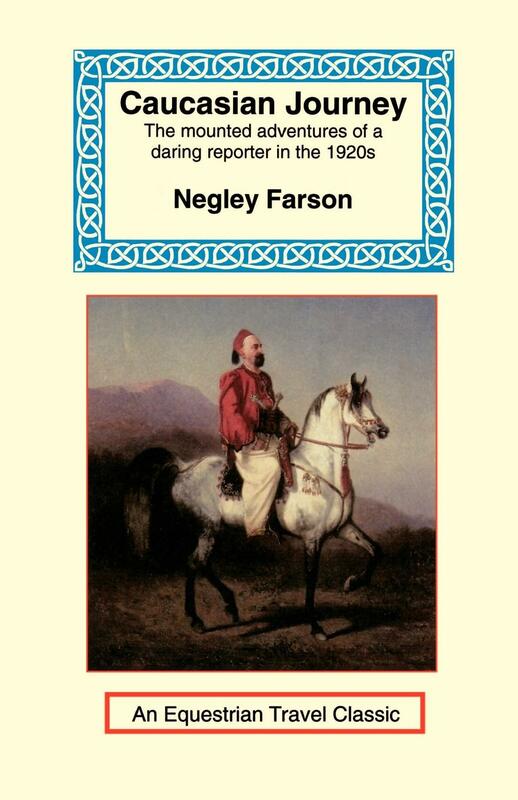 Caucasian Journey - A unique story of how Negley Farson rode through the Caucasus Mountains in 1929. The story recounts the seldom-seen splendours of this mountainous region with its alpine snowfields painted gold by the sun, picturesque villages forgotten by the outer world, and magnificent horsemen who were practically born in the saddle. The Cavalry Horse and his Pack - The most important book ever written in the English language by a military man on the subject of equestrian travel, yet it differs from traditional army manuals in that instead of emphasizing mounted manoeuvring, it concentrates on the preparation and practice of journeying on horseback. 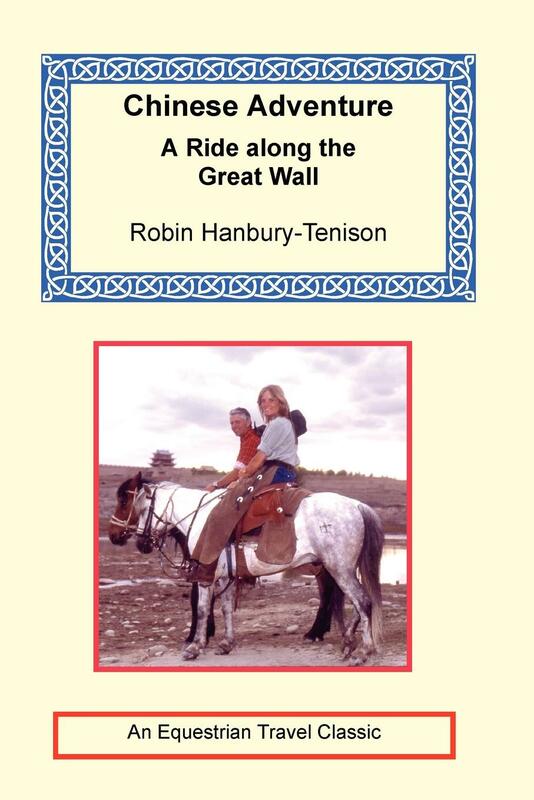 Chinese Adventure - This is the story of a unique journey in which Robin and Louella Hanbury-Tenison, Founding Members of the Guild, rode along the Great Wall of China in 1986. On a series of Chinese horses, and often spending up to twelve hours a day in the saddle, they covered a distance of a thousand miles through regions of China still closed to foreigners. 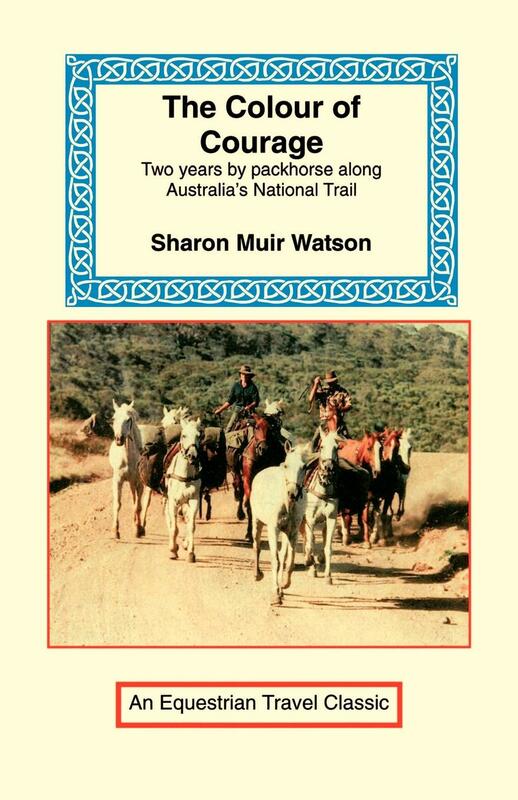 The Colour of Courage – This is the remarkable story of the epic horse trip made by Australian Long Riders Sharon Muir Watson and Ken Roberts, the first people to ride the length of Australia’s Bicentennial National Trail. During the course of their mounted journey the young friends discovered enough adventures to satisfy even the most jaded reader, ranging from riding through leech-infested jungles to trying to herd their horses through some of the toughest terrain on earth. 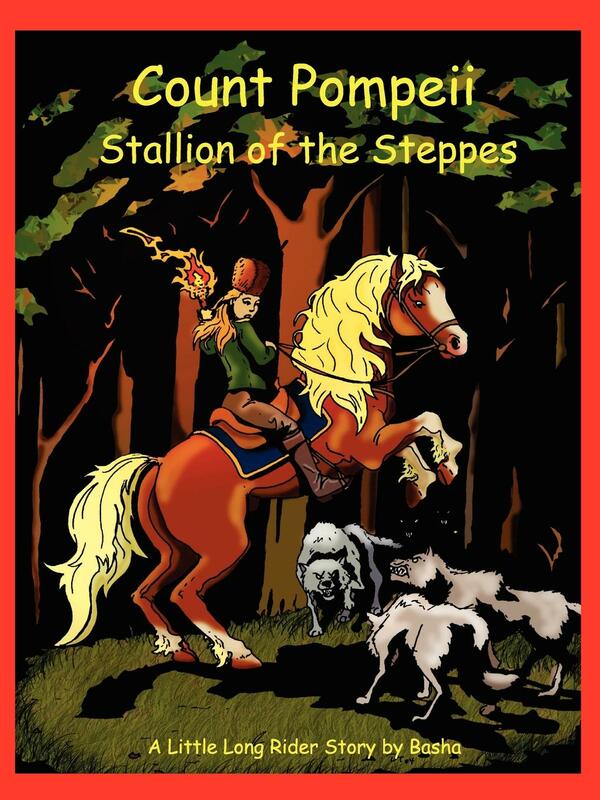 Count Pompeii - Stallion of the Steppes - This is a story book for children who love horses! It was written by one of Founding Members of the Guild. Basha O'Reilly rode Count Pompeii, the Cossack stallion, more than 2,500 miles from Russia to England. The book is delightfully illustrated with large black and white drawings which can be coloured in by Little Long Riders. The Courage to Ride – Having been inspired by Tschiffely’s Ride, Ana Beker decided to make an even longer equestrian journey. 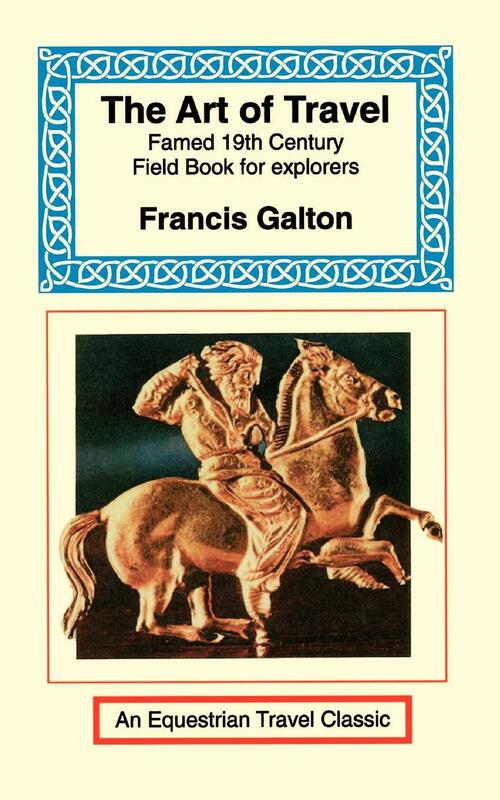 What followed was an equestrian journey of Homeric proportions. With her eyes always on the horizon, Beker began a 17,000 mile ride from Argentina to Canada. 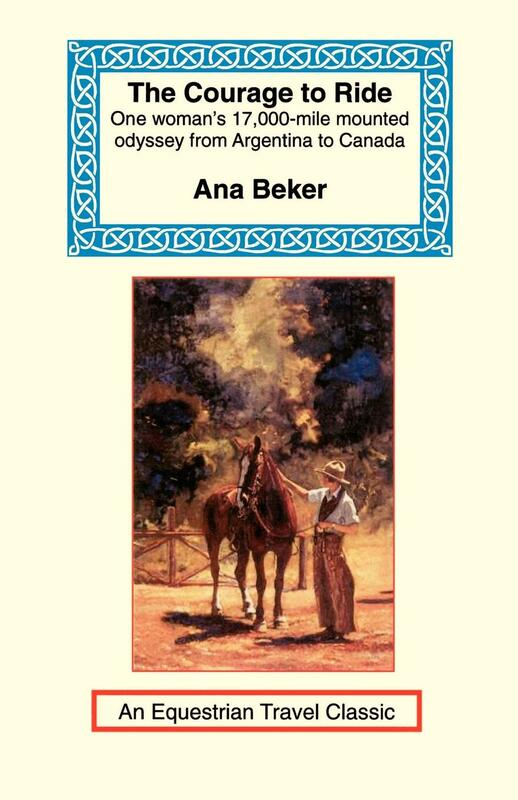 The mounted odyssey placed Beker’s name in the annals of equestrian travel history. Crimean Journal - In this modern age we would call Fanny Duberly an embedded journalist, a news reporter who is attached to a military unit involved in an armed conflict. Rather than remain at home, the avid Long Rider accompanied the British army to Russia’s Crimean Peninsula in 1855. There she explored the ruins of captured Sebastopol, dined with lords, drank with soldiers and watched the ill-fated charge of the noble Light Brigade. 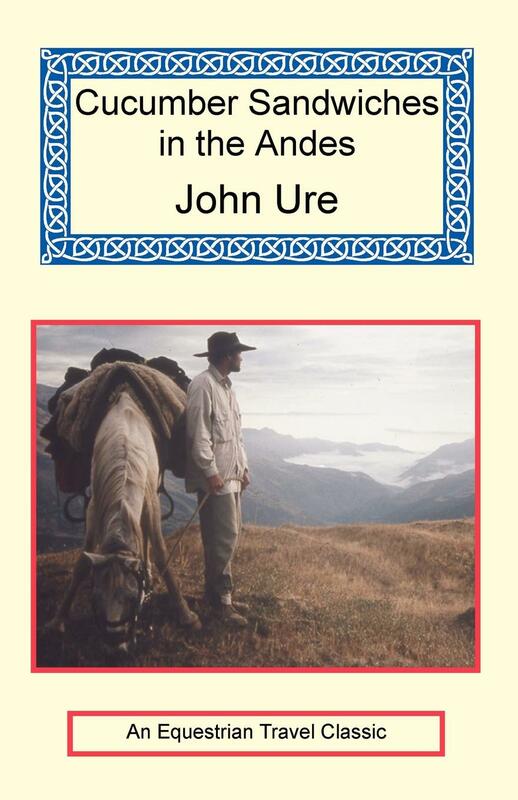 Cucumber Sandwiches in the Andes – Fans of equestrian travel and Latin America will be enchanted by this delightful book which describes how Sir John Ure rode across the Andes Mountains, travelling from Chile to Argentina, in the late 1960s. 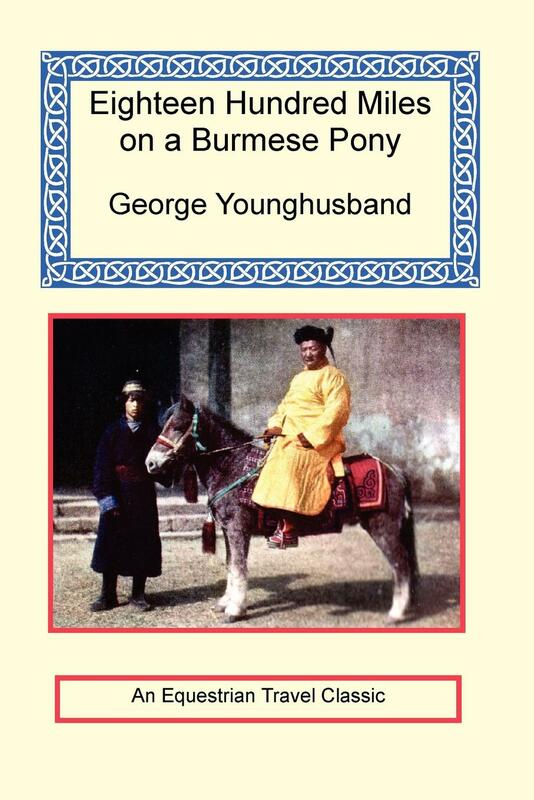 Eighteen Hundred Miles on a Burmese Pony - Though stationed in colourful India, George Younghusband decided to spend his army leave by exploring southern Burma on horseback. In 1887 he set off with a Ghurkha orderly, a Madrassi cook, an interpreter known as “the Archbishop” and of course the hero of this tale, Joe the Burmese Pony, who despite his diminutive size gave the English Long Rider more than he bargained for. The Encyclopaedia of Equestrian Exploration - This three-volume work is the most extensive study of equestrian travel ever created. 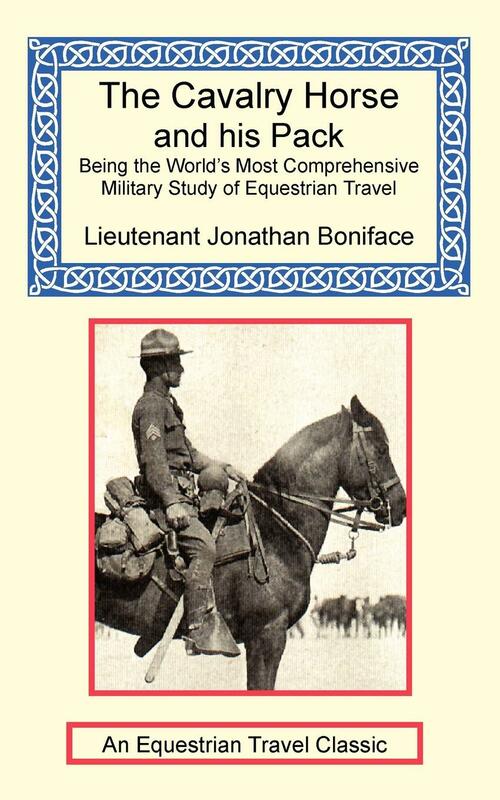 It offers every conceivable type of advice about the basics of equestrian travel such as how to plan a route, choose a travelling companion, find a road horse, load a pack saddle, how many miles to travel per day, how to feed and shoe your horse, cross rivers, negotiate borders, survive in traffic, deter horse thieves, etc. 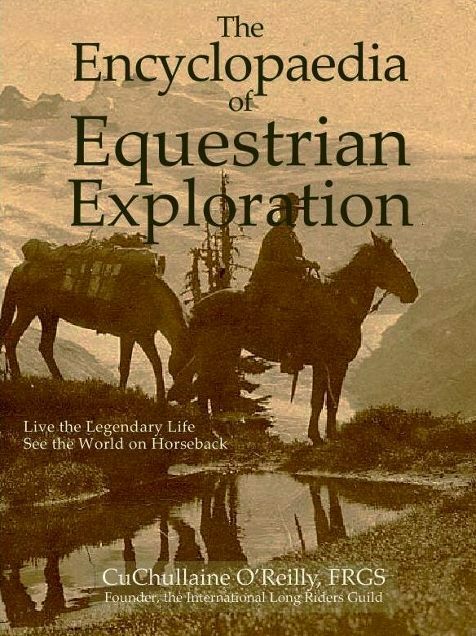 This book contains hundreds of pages of practical wisdom gained from the travels of the greatest equestrian explorers. Eye on the Hill – As Richard Barnes' cob Remus takes them further from their Norfolk home, the author sees the England he loves threatened by the spectre of an ever more aggressive industrialized society. 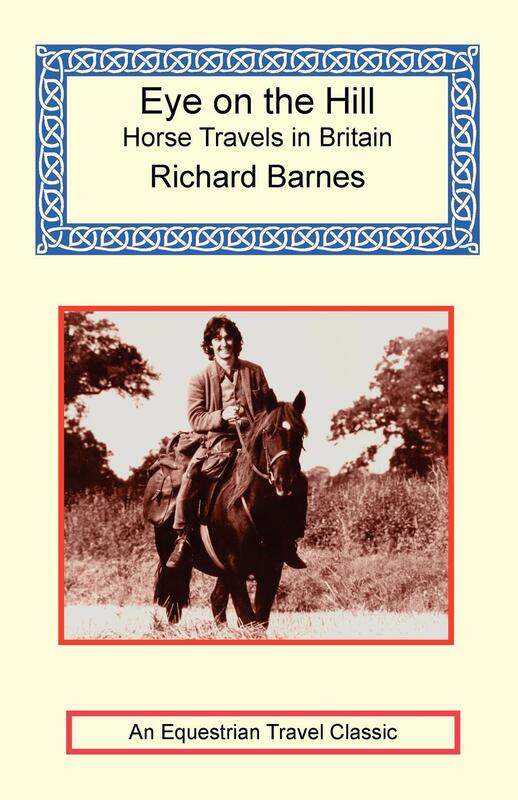 The author turned Long Rider warns about the loss of Britain’s horse trails and the need to preserve the country’s endangered equestrian culture. Following the Frontier - Roger Pocock life reads like a fairytale full of adventure. A childhood cut short to go to sea, then service with the Canadian North West Mounted Police in 1885, followed by stints as a war correspondent, Yukon gold miner, South African army scout, and “missionary to hostile tribes.” He was the first person in history to ride the length of the infamous Outlaw Trail from Canada to Mexico City. Forty Million Hoofbeats – Frank Heath, the author of Forty Million Hoof Beats, was a former cavalryman during the First World War, Heath not only knew about horses, but more importantly he understood the rigors involved in undertaking a great equestrian journey. That is why he took a deep breath before announcing to the world in 1925 that he was going to ride to all 48 states within the continental United States. In 1927, more than 11,000 miles later, Frank and his mare, Gypsy Queen finally rode into Washington DC. In Genuine Cowgirl Fashion – In September 1910 Two-Gun Nan Jane Aspinwall set off to prove a Lady Long Rider could make a solo journey from San Francisco to New York City – and then her story was lost to posterity. Although researchers spent years trying to find information about this amazing Long Rider, her story was finally uncovered thanks to the diligent academic research of Mary C. Higginbotham. 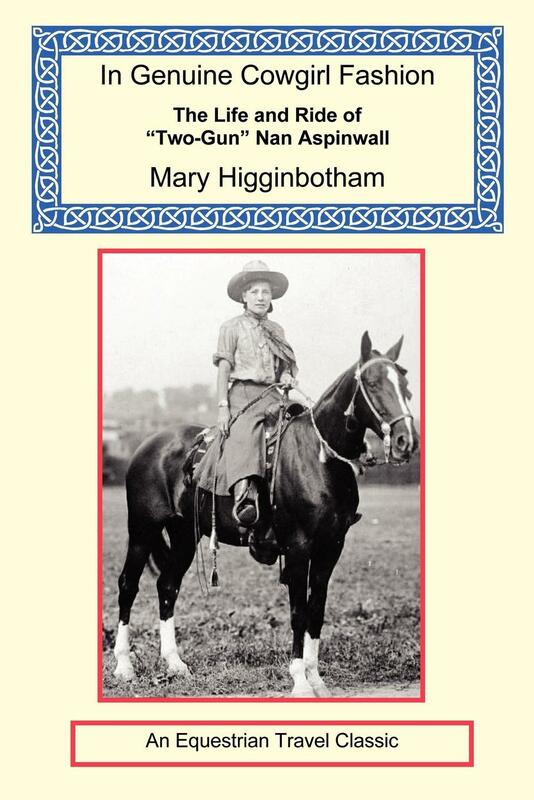 In Genuine Cowgirl Fashion recounts Aspinwall’s extraordinary life, which included being a headline act as a sharp-shooter in Buffalo Bill's Wild West Show. 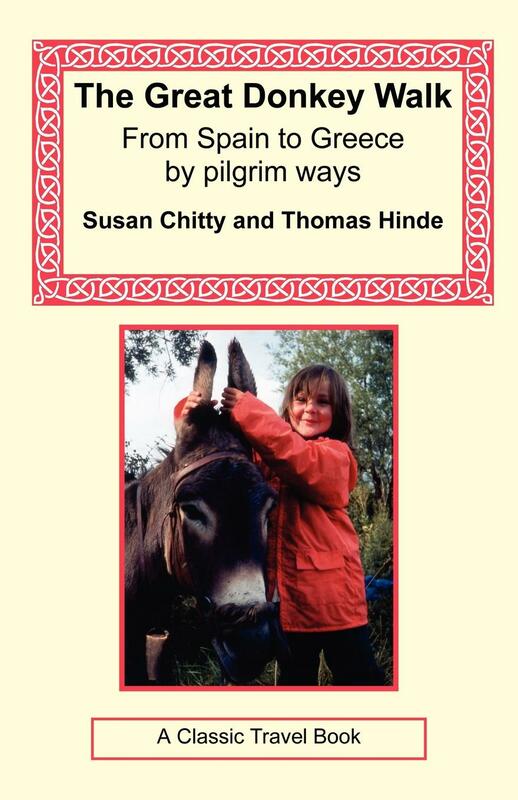 The Great Donkey Walk - When biographer Susan Chitty and her novelist husband, Thomas Hinde, decided it was time to embark on a family adventure, they did it in style. Arriving in Spain they bought two donkeys whom they named Hannibal and Hamilcar. Their two small daughters, Miranda (7) and Jessica (3) were to ride Hamilcar. Hannibal, meanwhile, carried the baggage. It was not all easy riding. There were bogs to flounder into, not to mention the river which arrived in the night and calamities for both little girls. Yet during the journey Jessica Chitty qualified to become the youngest Member of The Long Riders’ Guild. In the Hoofprints of Marco Polo – As the 20th century dawned this soldier turned author found himself on the wrong side of the Himalayas. Major Clarence Dalrymple Bruce had previously led a regiment of Chinese solders. Yet fate now placed him in picturesque Srinagar, Kashmir, thousands of miles away from faraway Peking where he wished to be. So Bruce did what any Long Rider would do – the impossible. 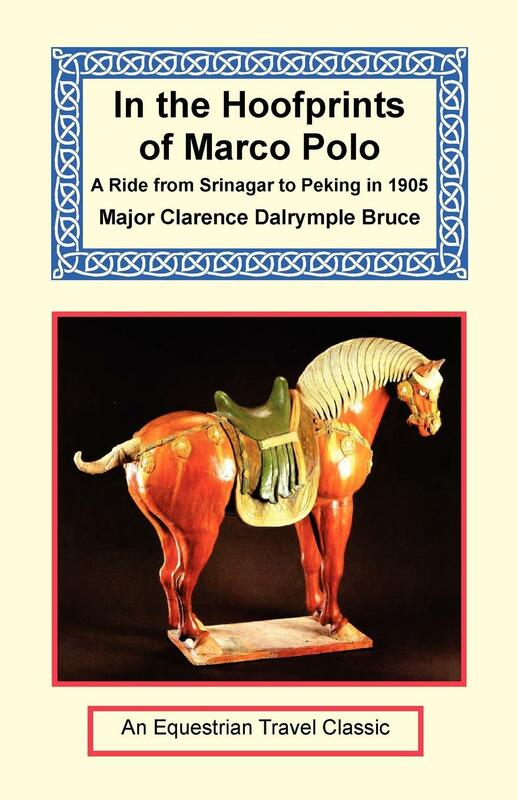 Mounted on his trusty 13 hand high Kashmiri pony, he set off in 1905 to ride from Kashmir to Peking. The journey took him over 18,000 foot high Himalayan passes and across the infamous Lop Nor desert. 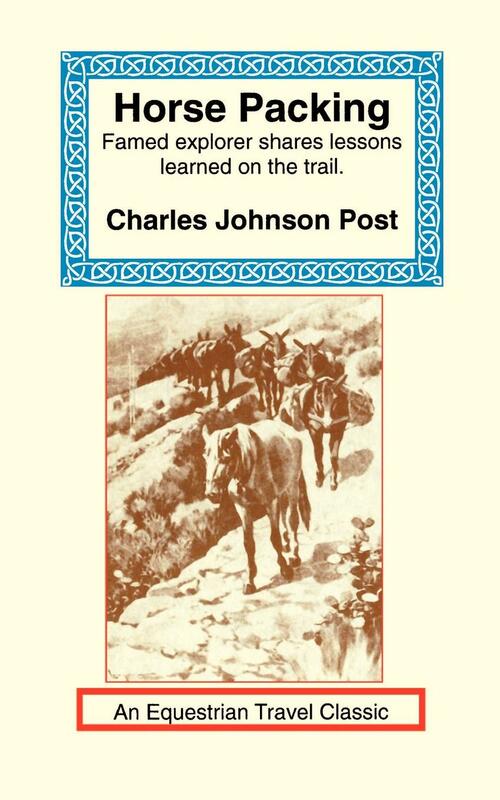 Horse Packing - Unlike the majority of authors who had written on the subject, Charles Post was not only a former military man, he had also made a record-breaking equestrian trip through the rugged Andes mountains of South America. Originally published in 1914, “Horse Packing” was an instant success, incorporating as it did the very essence of the science of packing horses and mules. 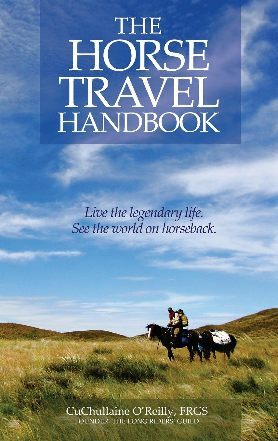 The Horse Travel Handbook - A unique book which is small enough to fit into a saddlebag and which contains the most critically-important information that a Long Rider may need to consult while travelling. 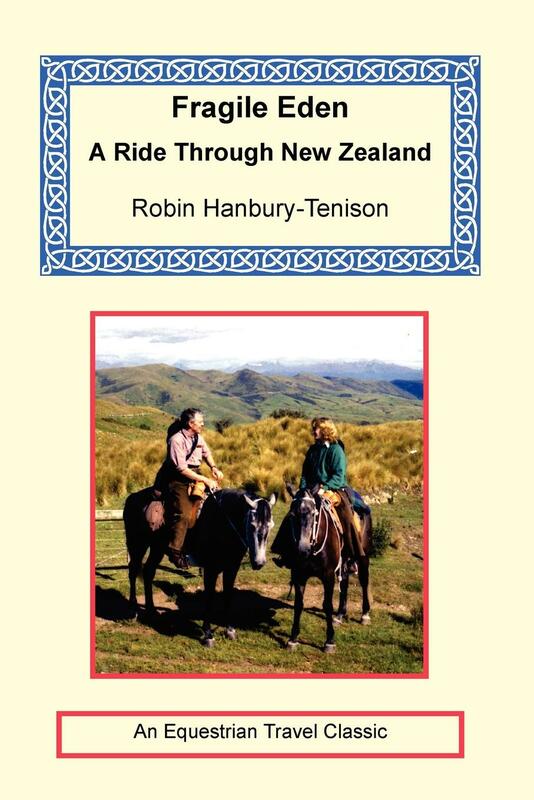 This concise, easy-to-use book covers every aspect needed to successfully complete a journey by horse, including how to organize the trip, plan a route, choose the proper equipment and purchase horses. 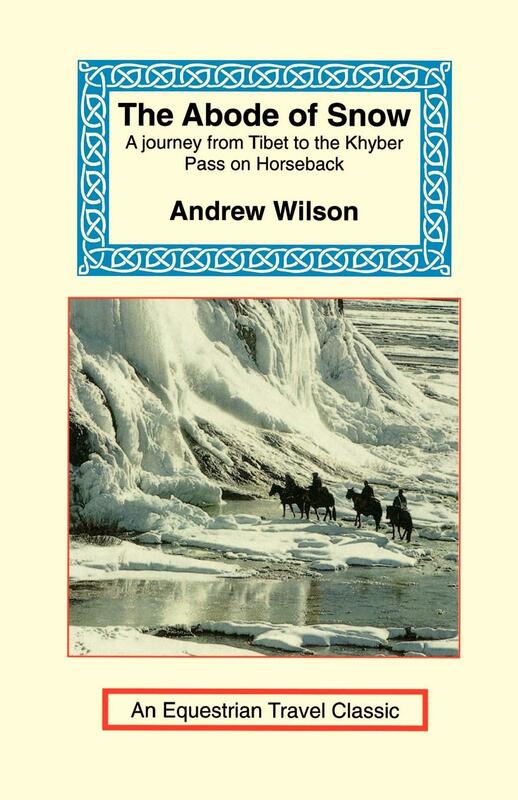 The Horse Travel Journal - This is the first book specifically designed to record the equestrian occurrences encountered during long and often perilous journeys. It has been designed to fit into a standard saddle bag. 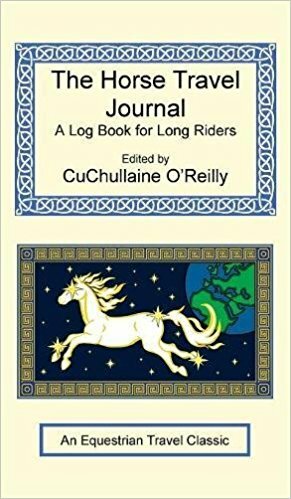 Every daily diary entry in The Horse Travel Journal allows the Long Rider to make concise notes on the specifics of that day's journey, the condition of the horses, problems encountered, etc. 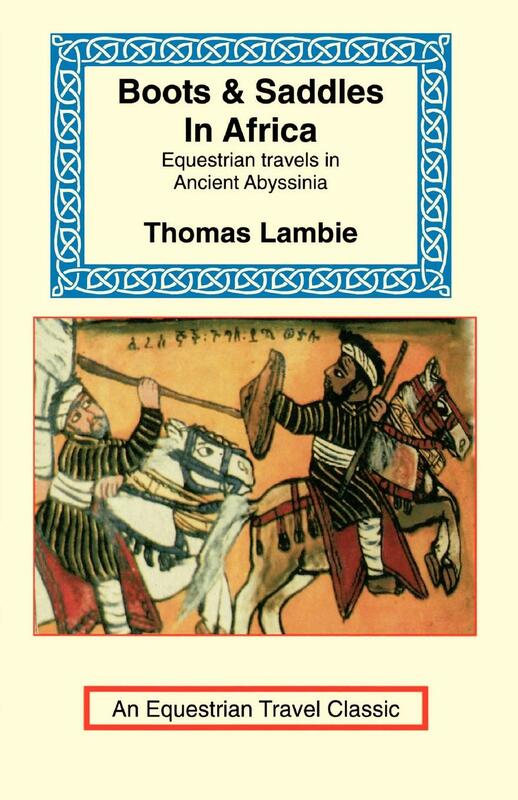 It also contains the world's first Long Rider Equestionary, which includes the necessary equestrian terms often encountered during the course of such a journey so the equestrian traveller can point to the object in question in his or her search for local linguistic assistance. 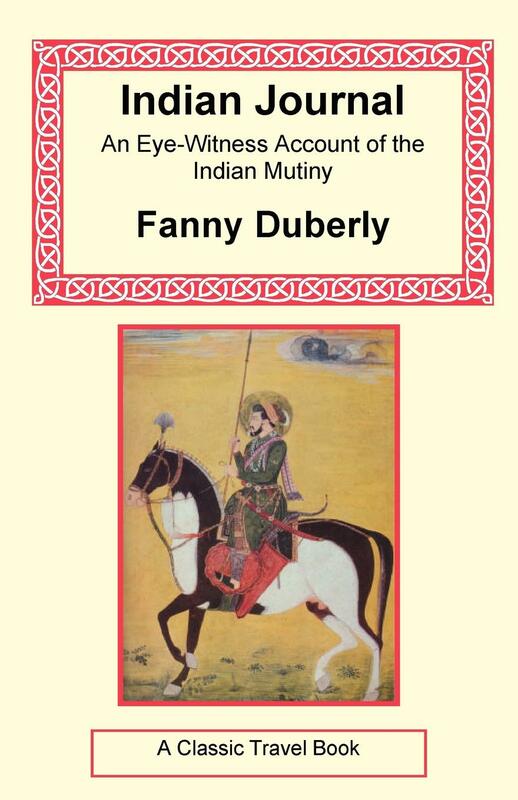 Indian Journal – Fanny Duberly had already kept a horde of guardian angels busy watching out for her welfare as she rode through the recently concluded Crimean War, the same conflict during which she had witnessed the infamous ‘charge of the Light Brigade.’ Now, with a new war afoot, the indomitable English Long Rider packed her pen and sailed to India in 1857. 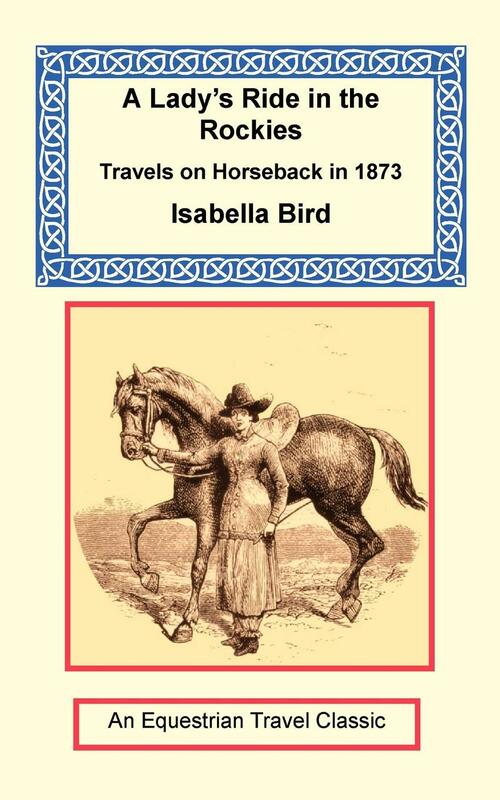 Though she was a hardened campaigner, the resultant 1,800 mile equestrian journey which Fanny undertook is a feat of endurance unequalled by any other 19th century female traveller. In the Forbidden Land – In the late 1890s foreigners were forbidden to enter the Lhasa, the capital of Tibet. 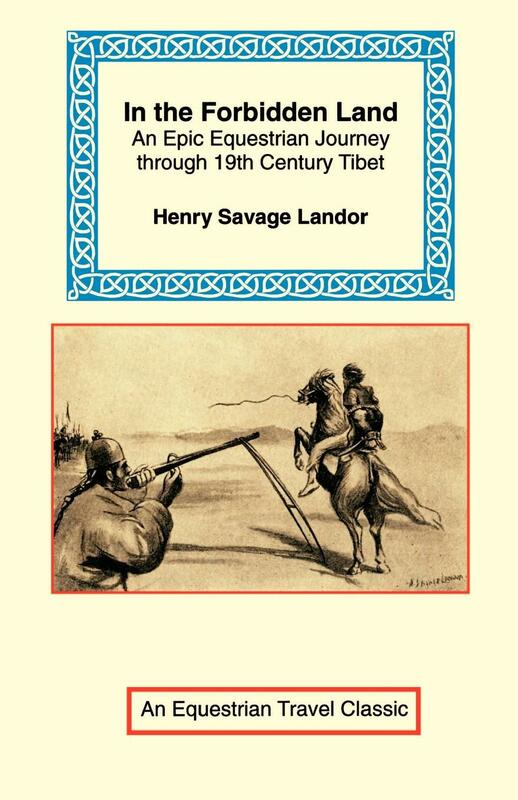 The English Long Rider Henry Savage Landor was determined to ride across the “Hermit Kingdom” to reach the forbidden city, but he was detected by the Tibetans and arrested. Once they determined that the Englishman was travelling without the official sponsorship of his government, the situation turned from bad to worse. Savage Landor was imprisoned and then tortured. 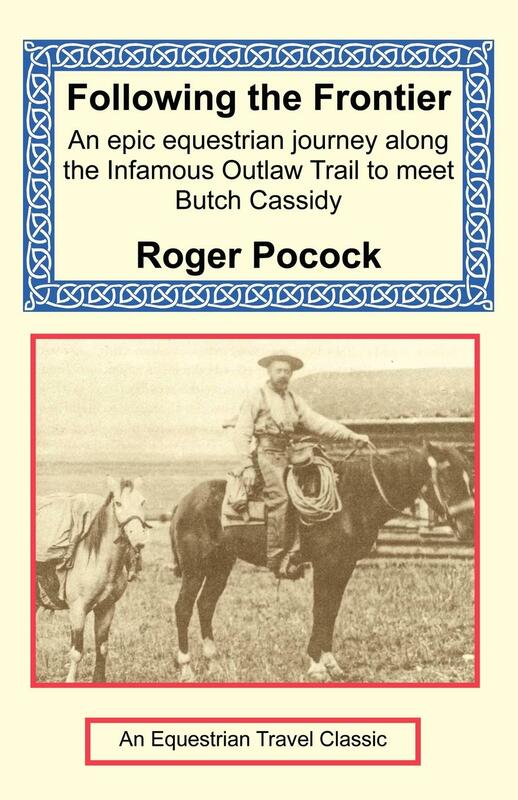 The story of his capture and brutal treatment is unique in equestrian travel history. 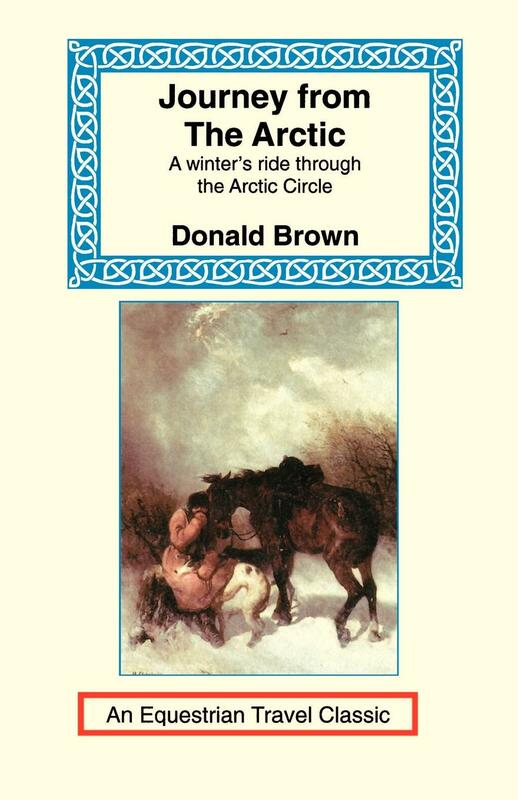 Journey from the Arctic – The author of “Journey From the Arctic” was apparently, as Voltaire put it, “A perfect Englishman – travelling without motive.” Donald Brown had a deeply personal reason to ride by horseback from Lapland, through Sweden, into Norway during the winter of 1954: he believed that a journey on horseback was the most absorbing and eventful way to travel. A truly remarkable account. 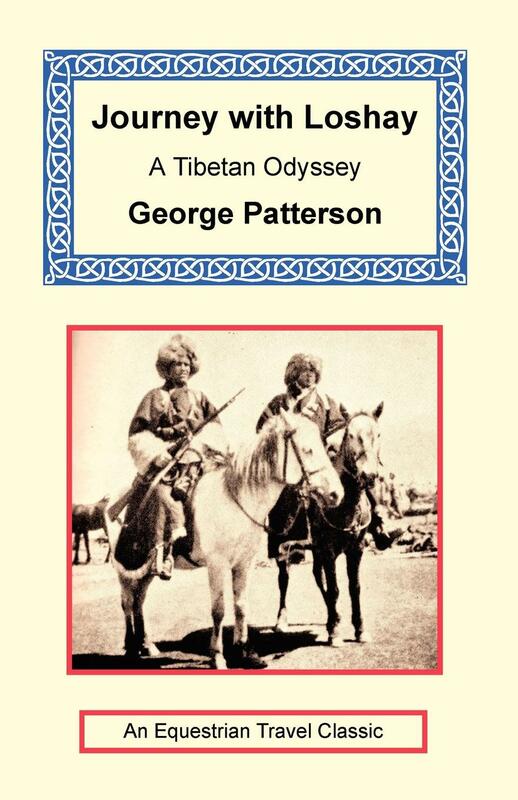 Journey with Loshay - a Tibetan Odyssey – Scottish Long Rider George Patterson went to Tibet soon after the Second World War ended. A Founding Member of the Guild, Patterson was in the mountain kingdom when the Communist Chinese army invaded in 1949. Tibetan leaders asked Patterson to ride through the snow-locked Himalayas and carry a plea for help to the outside world. His Holiness the Dalai Lama awarded George “The Light of Truth” award in recognition of the incredible equestrian journey described in this book. 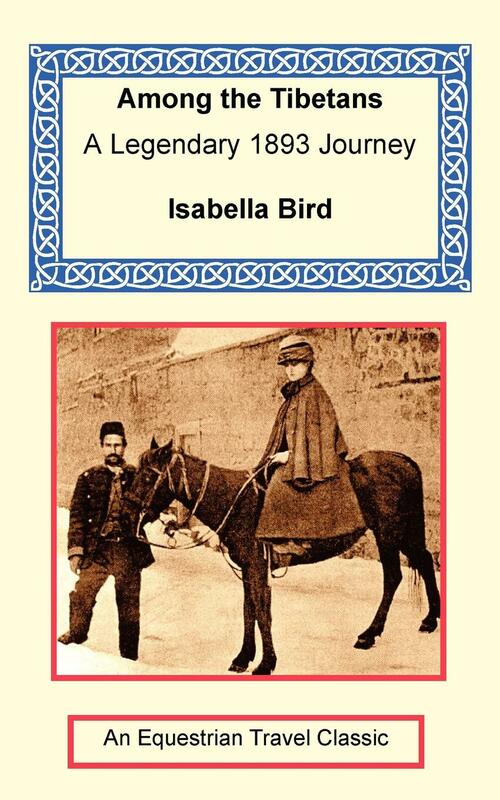 Journeys in Persia and Kurdistan - Isabella Bird was intoxicated with the freedom she discovered on horseback and praised the “charm of the nomadic life” she had chosen to lead. The story she weaves in Journeys in Persia and Kurdistan celebrates the mounted exploration she made in 1890. It is replete with both the dangers and observations Bird was famed for. Meeting the Shah of Persia by chance, cantering away from ruffians, or wandering the bazaars in disguise was all part of her daily fare. Khyber Knights - After extensive travels in Afghanistan, CuChullaine O'Reilly made a daring solo equestrian journey across Pakistan’s North West Frontier Province. The book describes how Boston University then engaged the author to teach journalism to mujahadeen opposing the Soviet occupation of Afghanistan. It also reveals the oppressive regime of General Zia-ul-Haq, who had usurped power from Pakistan’s elected government. 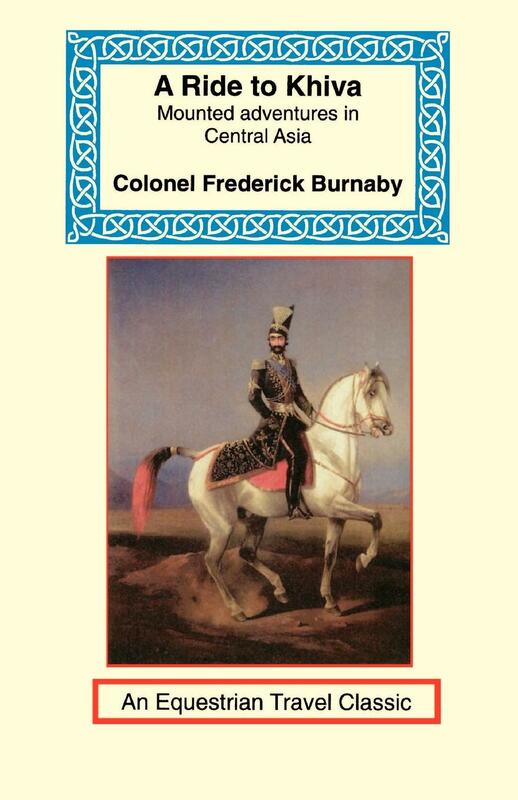 Told with grit and realism by one of the world’s foremost equestrian explorers, “Khyber Knights” has been penned the way lives are lived, not how books are written. It makes every effort to rip the reader’s nerves to rags with its ruthless devotion to the unvarnished truth about life in the North West Frontier Provence. You do not read “Khyber Knights”. You survive it! Last of the Saddle Tramps - In 1954, at the age of 63, Messanie Wilkins had plenty to worry about. A destitute spinster in ill health, she decided to take a daring step. 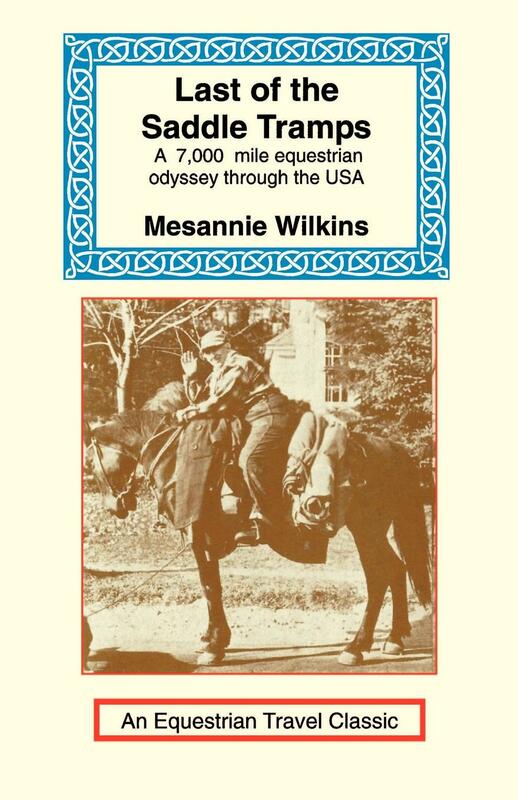 Using the money she had made from selling homemade pickles, Wilkins bought a tired summer camp horse and made preparations to ride from the Atlantic coast to the Pacific Ocean. Wilkins suffered through a host of obstacles yet never lost faith that she would complete her ocean to ocean odyssey. This book inspired DC Vision to undertake a 14,000 mile journey across the USA. It also motivated Sea G Rhydr to ride from California to Messanie’s hometown in Maine. 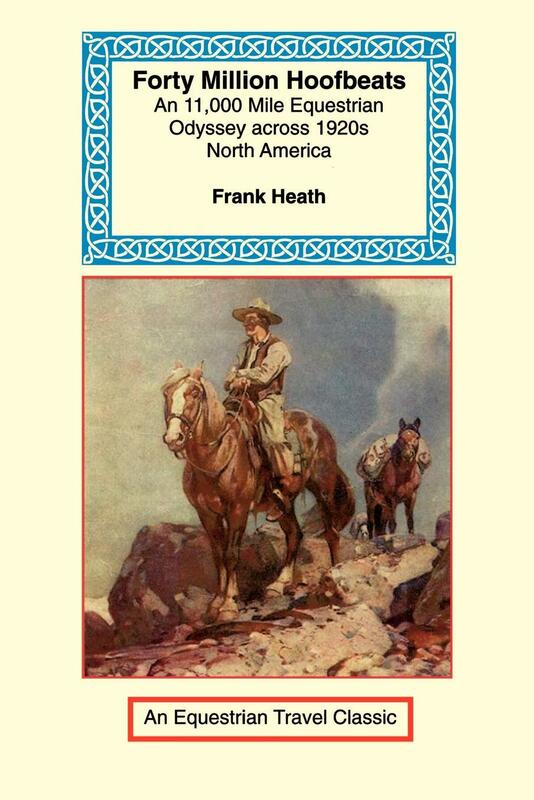 The Long Riders - Within the covers of this anthology rest the accounts of a rare breed of men and women. Here are the mounted dare-devils who rode hell-bent for leather through raging fires sweeping the plains around them. Here are the mounted mystics seeking inner enlightenment via that altar of travel, the saddle. Here are the forgotten ones, whose stirring stories deserve to be told again. Here are the famous ones whose tales of equestrian exploration have been recounted over a thousand campfires.